Senior United States officials announced Tuesday that the American embassy in Yemen is closing down. The staff has gradually been evacuated from the facility since late last year when the Houthis took control of the Yemeni capital, Sanaa. The move strikes a major blow to President Barack Obama’s campaign in the war on terror and highlights the problem that occurs when his “hands off” policy backfires. The drone war might have curtailed al Qaeda’s ability to wage war overseas by eliminating some of its leadership, but it has by no means defeated it nor made Yemen a stable nation. If anything, the Yemen of today poses a greater threat than ever before. Regional instability is fertile ground for al Qaeda. The government’s resignation could easily kick-start an aqap comeback. Then there are the Houthis—Iranian-backed radical Shiites. Their control of the vital Bab el-Mandeb sea lane is a direct threat to the world. Iran controlling both ends of the Strait of Hormuz and the Bab el-Mandeb has been described by some commentators as the equivalent of Iran gaining a nuclear bomb. U.S. Press Secretary Josh Earnest said that Yemen is “a place where the American counterterrorism strategy that has been put in place by President Obama has succeeded in degrading the threat that those organizations pose to the United States.” Today the two major factions in the nation both call for the destruction of America. How can America’s actions in Yemen be considered a success when its embassy has been closed, the U.S. backed government has fallen, the nation is in upheaval, and Iranian-backed rebels now have access to one of the world’s most active and vital sea lanes. Yemen was supposed to be the example of the new U.S. policy of partnering with governments to go after terrorists. Rather than boots on the ground, the U.S. used airstrikes and local government partnerships to tackle threats. It failed in Libya—now it has failed in Yemen. Yet this is the policy America is embracing in Iraq. The factors are strikingly similar to Yemen. Iranian-backed Shiites are fighting against Sunni extremists—the Islamic State. Meanwhile the hapless U.S.-backed government is overwhelmed by both parties. The U.S. has openly stated that it is using the same methods it used in Yemen to deal with the Islamic State in Iraq, despite the evidence that the policy failed in both its previous attempts. As such, the diatribe of problems that have come from such policies will appear in Iraq, just as they have in Yemen and Libya. If you want to know where this hands-off policy is heading in Iraq, first look at Benghazi and its now empty embassy. Then look at the shattered government and divided nation of Yemen. That should give you a clear indication of what is in store for Iraq. For more information on this pivotal moment in Middle Eastern geopolitics, read “Iran Now Controls Four Middle Eastern Capitals,” “Iran: Sultan of the Red Sea,” and “Who Is Plunging Yemen Into a Crisis?” The upcoming April edition of the Trumpet magazine will also feature a lengthy piece explaining the Yemen crisis in the context of Bible prophecy. 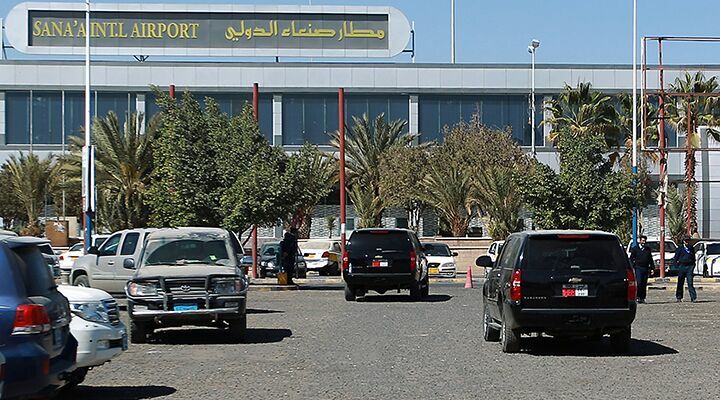 The U.S. embassy in Yemen—the symbol of American influence—is closed. Keep watching as American influence wanes even more, and the small yet vital nation falls deeper under the control of Iran. Who Is Plunging Yemen Into a Crisis?